Happy Sunday, hope you are having a fab day so far. As it is nearing Christmas Matalan once again are supporting Alder Hey Children Charity. If you remember last year Matalan released Alphabet scarves. They sold them in all Matalan stores and raised over £650,000. This year they have changed the campaign to Bobble vs Beanie. Many celebs have been getting onto the action, Britney Spears, Abby Clancy, Kylie Minogue etc have all chose a side. All money raised through this campaign goes to help the Alder Hey Children's Hospital. As a Matalan employee I know how much it helps the Alder Hey Children. This video shows what the money raised goes towards. 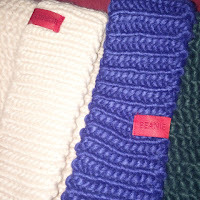 There are many different colours and like I mention you can either chose to be a bobble or a beanie. Personally I love the pink bobble, so I am Bobble. 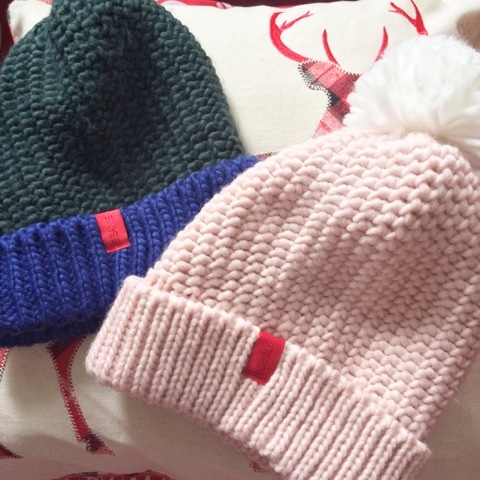 Remember once you have bought your hat, post it online and hashtags either #IMABOBBLE or #IMABEANIE. This is a great cause and is perfect for the winter but also as a Christmas gift. I am not being biased as I am a employee but they are super cosy and really cute. I am also not being paid for this post. Let me know what side you are?! and remember to post your pic on The Matalan website.